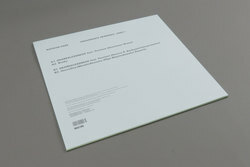 Nathan Fake - Providence Reworks: Part I. Vinyl 12. Bleep. Nathan Fake enlists the help of Overmono and Huerco S. to twist and mould recent album Providence highlight and Prurient collaboration (possibly best collab of the year?) 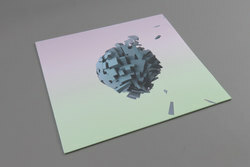 DEGREELESSNESS into bold new shapes of breakbeat techno and dubwise smoker's delight ambience. While he has always been an artist who would always step out further than most, Providence saw a real upsurge in Nathan Fake's sound. Saving the re-up of his work for Ninja Tune, Province found Nathan stepping into entirely new dimensions of scene crossing sound. This is no more perfectly reflected than on his choice of remixers, the choices offer a brilliant viewpoint into his musical mind. 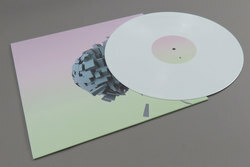 First up is the fierce jacking pound of Tessela and Truss's Overmono, keeping a subtle DNB snare in the middle of the sequence they work in a euphoric build that when it hits its stride, the sense that this was designed for use within the confines of the nearest warehouse that boasts a giant oiled up rig really shows off the muscles rippling under the surface. A killer version set to execute everything in its path with a deadly techno sensibility. Offering an alternative escape in the after hours, Huerco S. turns in a rare remix with his DEGREELESSNESS Backyard Interpretation. Diluting Prurient's roar down to a humming almost inaudible whisper, the floating sheen of his For Those Of You Who Have Never (And Also Those Who Have) album hangs thick in the air like sweet smoke, at once thick and muggy yet turning wonderfully addictive the more of it that you breathe in. Not content with just turning in two reworks, Nathan's first new track since Providence Bosky gives a scratchy acidic blend to a tight, almost Randomer style jagged electro beat. Yet the colourway blend of his recent work shines through while offering another exciting new path ahead for what lies ahead.